Staying on budget or coming in slightly under budget when maintaining your property should not be an exception to the norm. 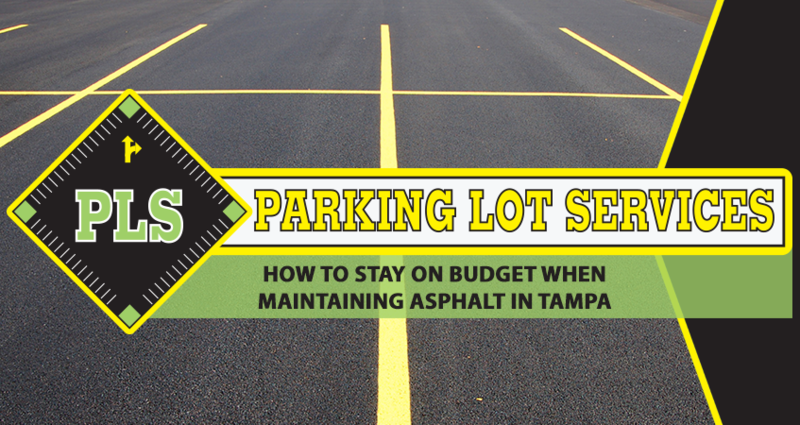 If you find it difficult to remain on budget when maintaining or repairing asphalt in Tampa, you should only work with pavement contractors that will adhere to your budget. Here’s a few ways you can stay on budget while maintaining and repairing asphalt. Budgeting for maintaining asphalt is not that much different than budgeting for anything else. What matters most is you stick to the original financial plan. Stick to your initial budget, do not make exceptions and you will come in at or below budget when all is said and done. Certain aspects of parking lot maintenance in Tampa are more important than others. However, if prioritizing sends your budget skyrocketing, do not abide by a strict adherence to the projects that are the most important. Prioritize in terms of project importance as well as cost. Put every potential maintenance project in the proper context of cost and time required for completion before moving forward. Timing matters just as much as anything else when maintaining asphalt in Tampa. Time the maintenance of your asphalt just right, adhere to a schedule of yearly maintenance, and you will prolong the surface’s lifespan. Preventive maintenance will save money in the long run through reduced repair and replacement costs. If you spot any signs of potholes or cracks in the surface, do not wait until they become major problems. Though it will certainly cost some money to tend to these issues now, waiting until they worsen will pull even more money out of the budget down the line. Maintaining asphalt in Tampa is easier when there is an overlay intervention along the areas that receive the most traffic. Areas toward the front of your facility that heads to the spaces used for loading and unloading are particularly busy. A strategically timed overlay intervention will boost the pavement lifespan well beyond initial expectations. However, you should wait at least a couple decades to consider such a major overhaul for even the busiest portions of your property. Our team is here to help you remain true to your budget when maintaining asphalt in Tampa. PLS is at your service from the budgeting phase all the way through the project’s completion. Our team will respect you, your property, and your budget and provide you with the highest quality professional parking lot services in Tampa.